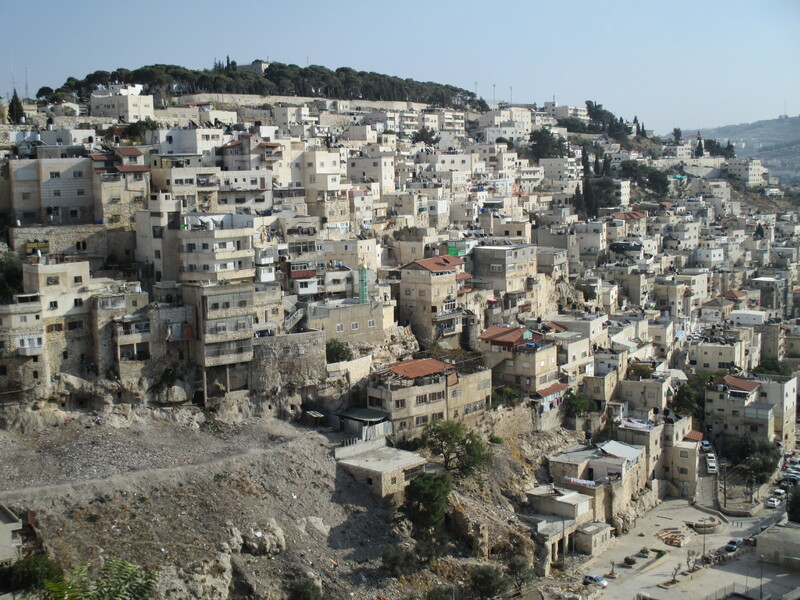 Wadi al-Hussein is a neighborhood in Hebron adjacent to the Kiryat Arba settlement. Meet 2 of its residents who show that settler violence and fear dominate their daily lives. A view of Wadi al Hussein. Photo EAPPI. 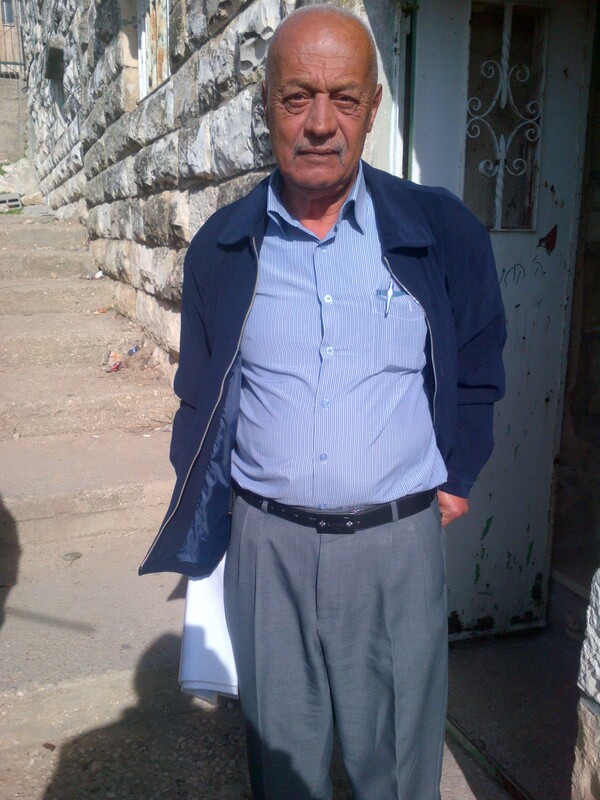 Meet Kayed, a 50-year-old Palestinian man who lives in Wadi-al-Hussein with his family right next to the wall surrounding Kiryat Arba, the biggest Israeli settlement in Hebron. One can see endless fatigue on Kayed’s face after being stuck in his yard for years since he is forced to protect his home and family against unpredictable settlers nearly around the clock. Even though Kayed owns his house and land, the Israeli occupation practically reduces his rights to his property. 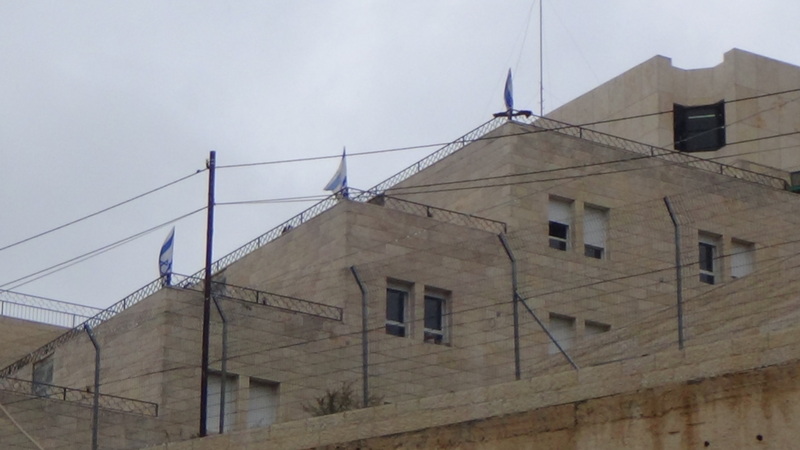 According to Kayed, he must stay two meters away from the wall of Kiryat Arba. Passing too close to the wall would make the Israeli army intrude into his yard, considering him a threat to the settlers. Kayed tells us that one Friday three settlers invaded his house without any consequences. “If I had done the same in Kiryat Arba they would have killed me at once”, Kayed states. 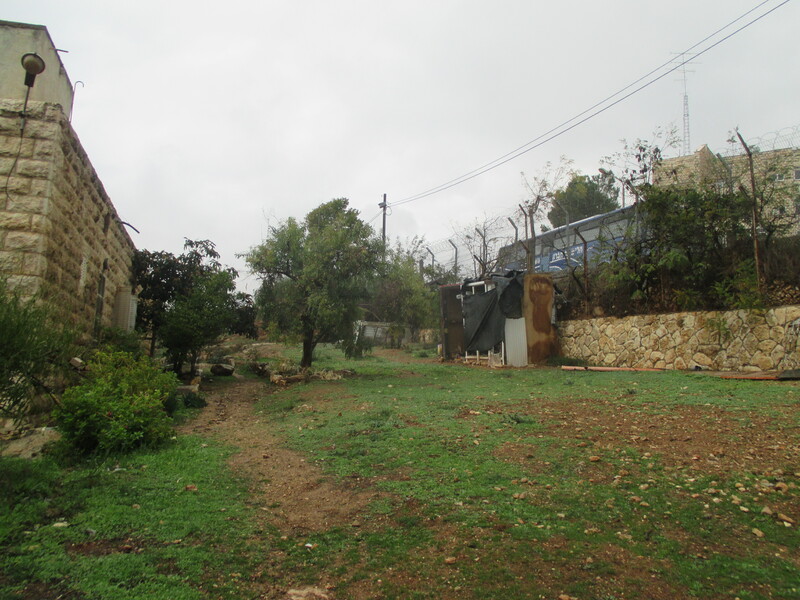 Kayed’s house on the right is located adjacent to Kiryat Arba settlement, behind the wall on the right. Photo EAPPI/A. Holmstrom. 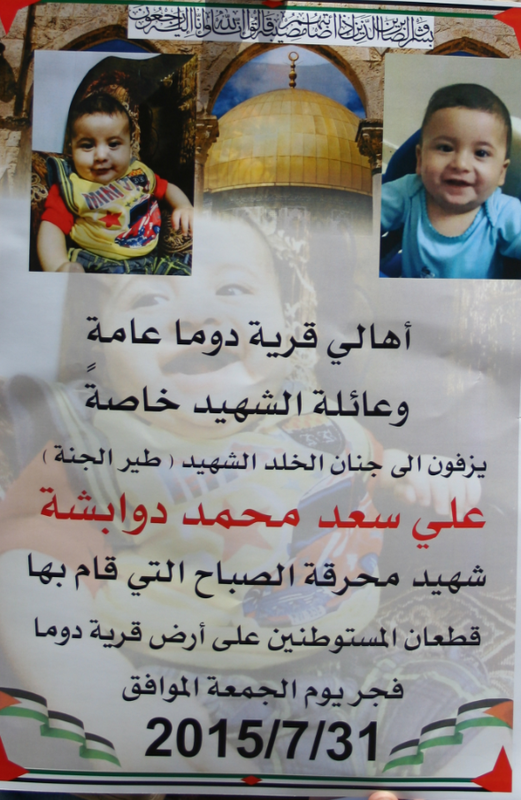 Moreover, his everyday life is comprised of settlers throwing stones, garbage, and sewage into his yard. He reminds us that settlers in Kiryat Arba live there for religious and ideological reasons, not simply economic reasons. 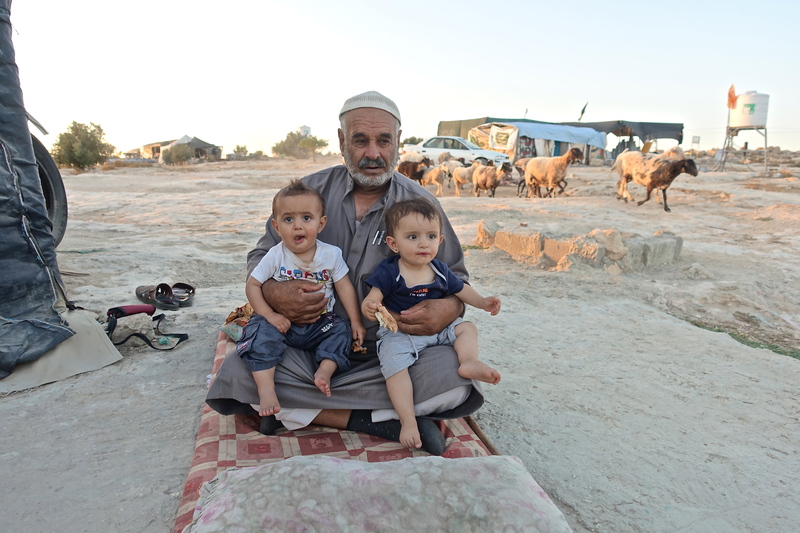 Jamal, age 50, and his family live in Wadi al-Hussein next to Kiryat Arba settlement. They face settler violence on a daily basis. Photo EAPPI/A. Holmstrom. 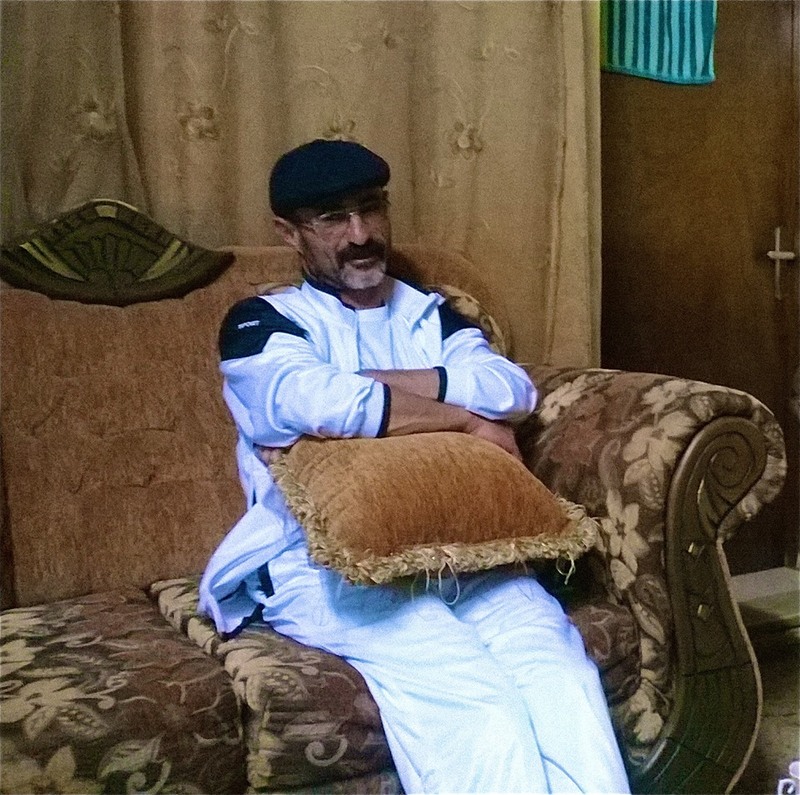 Meet Jamal, a 50-year-old man whose family suffers the same problems as Kayed. Jamal’s house is situated in Wadi al-Hussein right behind a religious settler school in Kiryat Arba where kids learn at an early age the legitimacy of harassing Palestinians. “If you love God throw a stone”, has been written, according to Jamal, on the school wall. “If you throw a stone back they will put us in jail”, Jamal says. He also criticizes the Israeli police who do nothing to protect them. He tells us about an incident where settlers burnt his father’s house with a Molotov cocktail. Police arrived at the house after the fire had been extinguished but could not do anything because they did not see the fire itself. Jamal has stopped expecting sympathy from the Palestinian Authority as well. He says that the presence of municipality administration in Wadi al-Hussein is non-existent and rather than protection, the family receives insults from decision-makers. 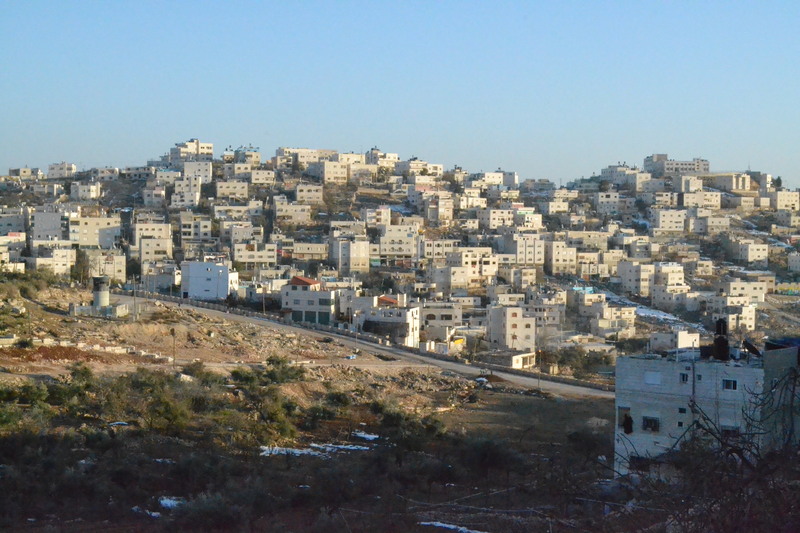 Kiryat Arba settlement as seen from Jamal’s house. Photo EAPPI/A. Holmstrom. Apart from security issues the family also confronts problems with the municipality regarding water supply. The family receives water irregularly twice a month. However, when water runs out it is, according to Jamal, useless to wait for any help from the municipality. “My family has been living in this house since 1949, my family was one of the first people who built houses here. I have never felt like going away from here”. *Read more about Wadi al-Hussein. In recent years, Sheikh Jarrah has become the location of active demonstrations against Israeli policies in the neighborhood. After many families were forcibly evicted from their homes in order for Israeli settlers to take up residence, weekly Friday protests began. Here is the story of one family forced from their home. During the 1948 war, Mr. Sabbagh’s family became refugees from their village of Yavneh. They were forced to leave their homes and take only the items they could carry. They left behind not only their houses, but their entire properties that they worked they accumulated over the years. Mr. Sabbagh’s family lost 250 dunums of land. They fled to Jerusalem and were brought as refugees to Sheikh Jarrah, an area now in East Jerusalem. At that time, Sheikh Jarrah came under the rule of the Jordanian government. Many refugees, including Mr. Sabbagh’s family were given houses in Sheikh Jarrah on the condition that they pay rent to the Jordanian government. In 1967, when the state of Israel took over East Jerusalem and the West Bank and began its military occupation, Sheikh Jarrah once again fell under their rule. At this time, the United Nations Relief and Works Agency (UNRWA) and the Jordanian Government transferred ownership of the houses in Sheikh Jarrah to the Palestinian families living in them. 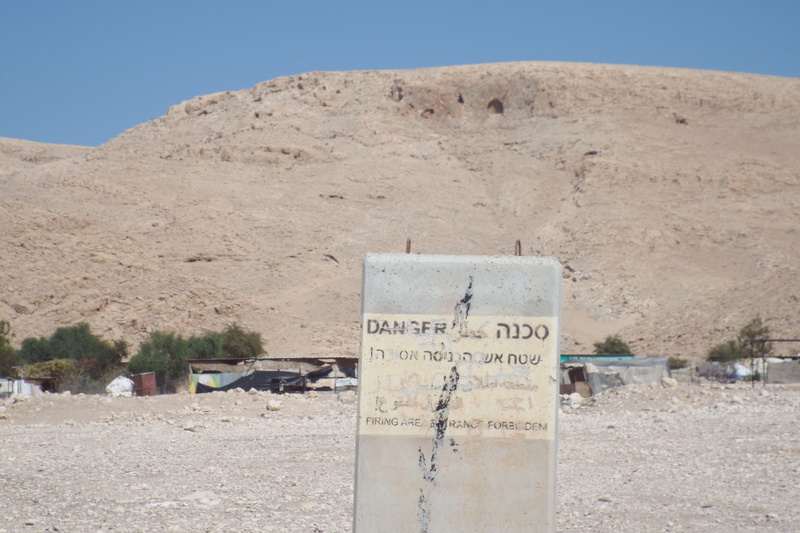 For Mr. Sabbagh’s family, the dispute over their home began in 1972 when Israeli settlers claimed that their ancestors lived on the land on which Mr. Sabbagh’s house was built and the land and house belonged to them. Although these claims began in 1972, Mr. Sabbagh’s case came to the forefront in 2010 when the family received eviction orders from the Israeli authorities based on the claims of Israeli settlers. Since then, the family’s lawyer is still contesting their eviction and seeking recognition of Mr. Sabbagh’s family’s ownership of the property. 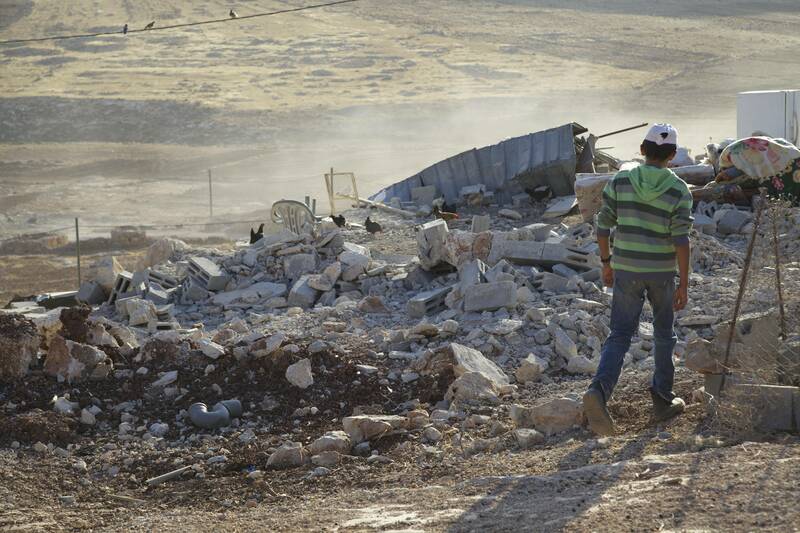 Despite proof of Mr. Sabbagh’s ownership in documents obtained from records in Turkey that combat the settlers’ claims, the Sabbagh family was evicted from their home, forced to stay in tents they erected nearby. Israelis, Palestinians & Internationals protest forced evictions in Sheikh Jarrah every Friday. The startling fact of families being forced from their homes, opened the eyes of many in Israel and throughout the world. Public demonstrations began to oppose the forced evictions of Mr. Sabbagh’s family and others. Every Friday, Israelis, internationals, and Palestinians gather at 3:00 pm in the afternoon voicing their support for the Palestinians in Sheikh Jarrah. Many thoughts come to our minds as we ponder Mr. Sabbagh’s story. How can Palestinians persevere, despite the double loss of homes, property, and the dreams and memories these places carry? How much money has been wasted in support of countless human rights violations? How long can the Israeli government support the active violation of Palestinians human rights without facing repercussions? These questions bare heavily on our minds, but we find hope in the solidarity Israelis and internationals show every Friday with the Palestinians in Sheikh Jarrah. Much more needs to be done, but one day freedom will be delivered to those that are oppressed. 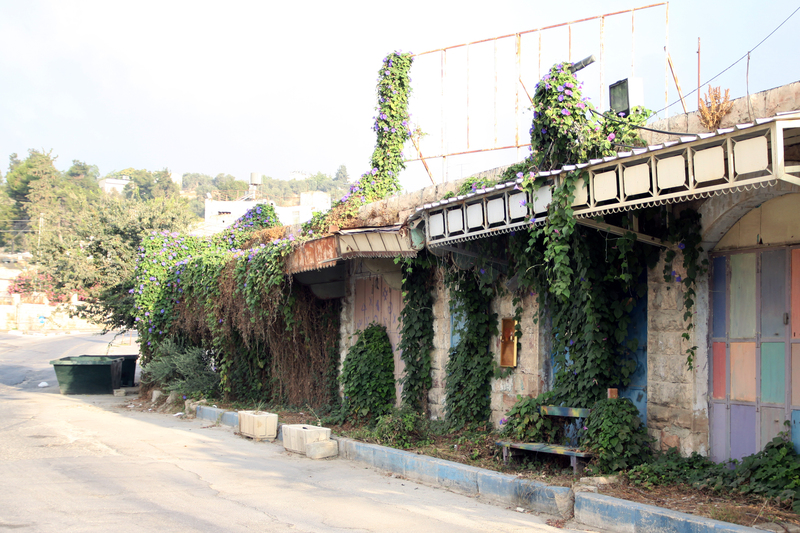 Read about Sheikh Jarrah on +972 Magazine. Watch videos about Sheikh Jarrah from Just Vision.